An ease-to-use Linux Schematics Diagram Software for you to create schematic diagrams quickly with built-in free templates and symbols. Edraw Linux Schematics Diagram Software is an user-friendly tool for users to draw professional schematics diagrams. Similar interface layout with Microsoft programs enables you to do the design without any effort. Various icons & templates are available for you to drag, drop and edit easily. 1. Quick-Start Schematic Templates. Dozens of existing schematic diagrams templates enables you to get started instantly. 1. Large Schematic Diagram Symbol Library. This program covers lots of schematics shapes like switch, sensors, relays, lamp, equivalent series, etc. 2. New Symbols Drawing Supported. Users are also able to design their own icons with embedded drawing tool. 4. Support Inserting Attachments, Hyperlinks, Notes. This feature can enrich your diagram contents. 5. Collaboration Supported. Users can share their schematic diagrams with just clicks because of its convenient real-time collaboration and common file formats export support. 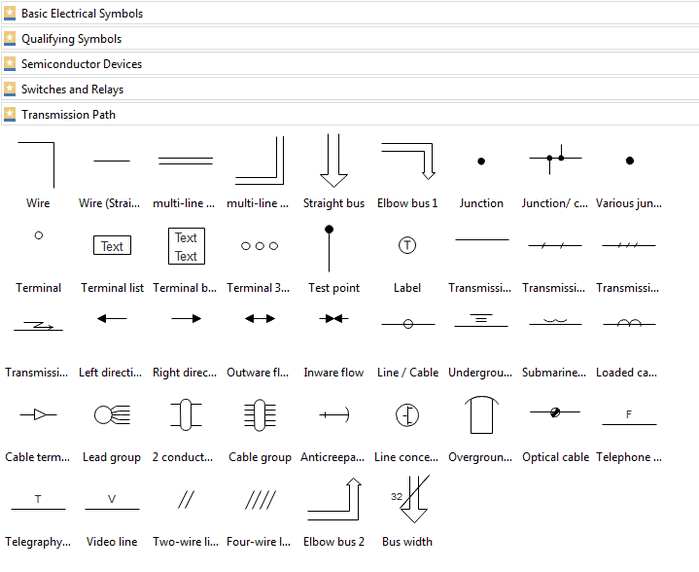 A large number of schematics symbols are offered and classified into different categories for convenient uses. All of them are free and editable. Users can customize these symbols to meet different needs. You can also create you own symbols with built-in drawing tool. Following are easy steps to draw schematics on Linux. 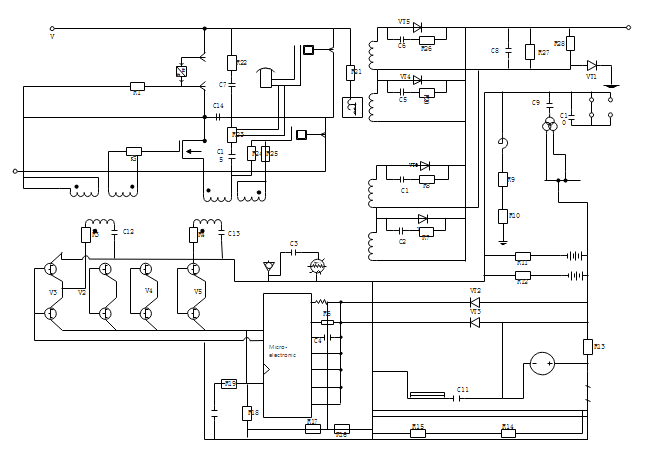 Simply read more about detailed tutorial on how to draw slectrical schematics step by step. Launch the software, go to "File" menu > "New" > "Engineering" , then double click the icon of "Basic Electrical" under templates window to open a blank drawing page or select a pre-made template to get started. 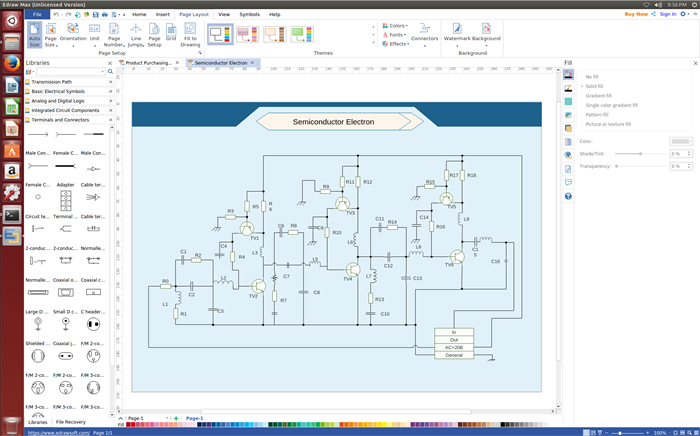 Drag and drop the schematic symbols needed from the left library to the drawing page. Under "Home" tab, select "Connector" to connect these symbols. Under the "File" tab, hit "Save" to save your schematics diagrams as the default format .eddx, or click on "Save as" under "File" tab to save as other formats. 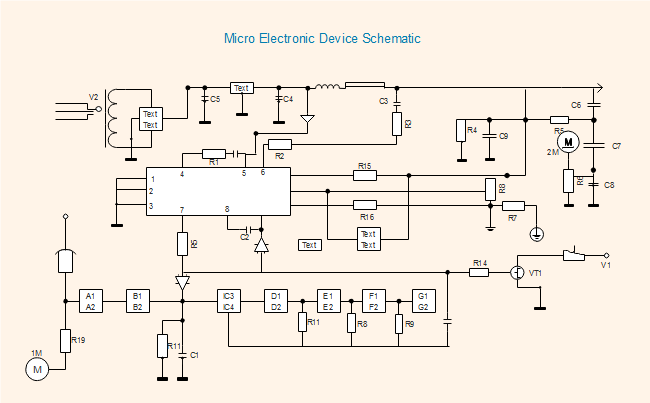 Below are several schematics diagram examples made by our Schematics Diagram Software on Linux. All of them are free to download, edit, share and print.